Want to buy a house? It’s definitely an exciting milestone to reach in life, but there are a few things you need to set in place first. Most homeowners didn’t just luck up on their situation and decide to purchase a home because they had extra money lying around. It takes some time, hard work, and careful planning to become a homeowner. If you’re trying to get your first mortgage, money can be quite the obstacle especially if you already have other debt. 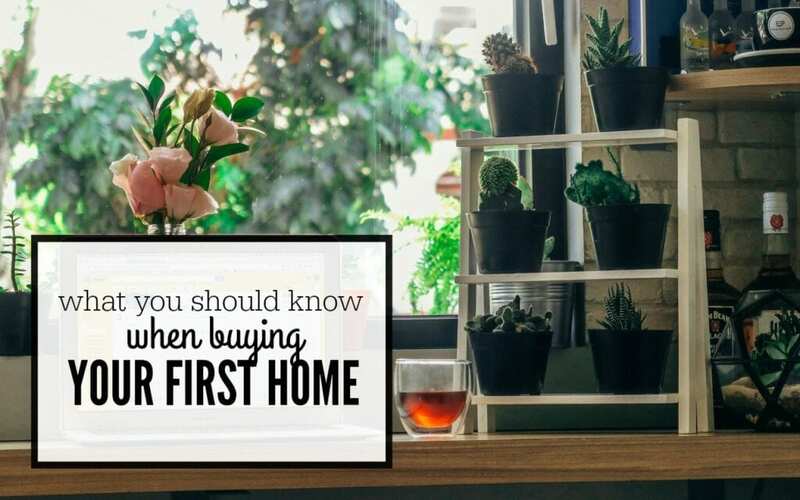 Whether you’re thinking about buying your first home in 6 months or 4 years, here are some important things you need to know and plan for. Your credit is an important factor that lenders consider when offering you a mortgage. Mortgages with lower interest rates will be reserved for people with great credit and you don’t want to pay thousands of dollars extra on your mortgage just because you didn’t check your credit and try to improve it. You can check your credit report for free on AnnualCreditReport.com. Or I’d recommend checking your credit on a reputable site like MyFico.com. That way, if you notice any errors or bad remarks you can work on fixing them before you apply for a mortgage in the hopes of getting a better interest rate. It’s also important to note that if you are going to have a co-applicant, lenders will often look at the person with the lowest credit score and use that for your loan so it’s best that both of you have good credit. Owning a home is a major responsibility and it can get quite expensive. If you have to pay a mortgage along with utility bills and maintenance and repair costs for your home, you may not have much room left for debt payments. This is why it’s best to pay off as much debt as you can before buying a home. Ideally, you’ll want to be free from any other debt but that’s not always realistic so you should aim for knocking as much debt as you can and getting a hold on your situation so you can afford the added expenses of homeownership. Many people who want to own a home just stick with renting because they can’t afford the down payment. While there is nothing wrong with renting, if you want to own a home eventually, you’ll have to start saving as early as possible because you may need a lot of money. Since you’ll be responsible for all the repairs and maintenance for the home, you’ll need a large emergency fund since pricey issues can come up randomly and often. Traditional lenders like when you put at least 20% down on your home. This is because when you put 20% of the purchase price down you don’t have to pay private mortgage insurance (PMI) which is often a requirement if you put down a lower amount. PMI is annoying because it’s extra money you have to pay each month that doesn’t even go toward paying your principal balance down. Depending on the housing market in your area, a 20% down payment can seem hefty. For example, if you’re looking at a standard $200,000 home, you’ll need to put $40,000 down if you want to make a 20% down payment as well as cover closing costs which could be thousands of dollars. If you’re having trouble figuring out how you’re going to save up enough money for a down payment and your emergency fund, I’ll discuss some alternative options below. If saving up a 20% down payment sounds too challenging to you, you can always put down less, but you’ll just have to deal with paying PMI for a while. You can also consider an FHA loan for first time home buyers which are guaranteed by the Federal Housing Administration (FHA). FHA loans have more lenient requirements like the fact that applicants only need a 580 credit score to apply, and can put as little as 3.5 percent down. FHA loans are only available through FHA lenders but they are an affordable solution for people who don’t want to get a traditional mortgage. Borrowers with an FHA loan also need to pay FHA mortgage insurance which is similar to PMI since they’re putting less than 20% down. This insurance can be paid upfront as a percentage of the purchase price of your home, or monthly and added onto your regular mortgage payment. Borrowers with FHA loans have to wait several years to cancel the FHA mortgage insurance until they gain more equity in their home or they could refinance. If you need help coming up with a down payment to buy a home, you can look into down payment assistance programs in your area. Most programs are government funded and have income limitations. You can reach out to the affordable housing department in your city or county to see what they offer. Most states have their own down payment assistance programs in conjunction with other local programs that may be private or government owned. I actually searched for events in my neighborhood and found there are regular meetings to go over all the down payment assistance program details so I attended one. Down payment assistance programs are nice because they help provide you with funds to put down on a home and you don’t have to pay the money back. During the meeting I attended in my town, the host actually showed us how we could stack programs to make the most out of it. I figured out I might qualify for a program that pays up to 4% of the purchase price of the home for a down payment and will even negotiate with the owner to get them to cover closing costs. Down payment assistance programs may not be the best solution for everyone and you will still need to come up with money on your own, but it can be a nice help when you don’t have tens of thousands of dollars to put on your home. It’s worth looking into to see if you qualify for anything. 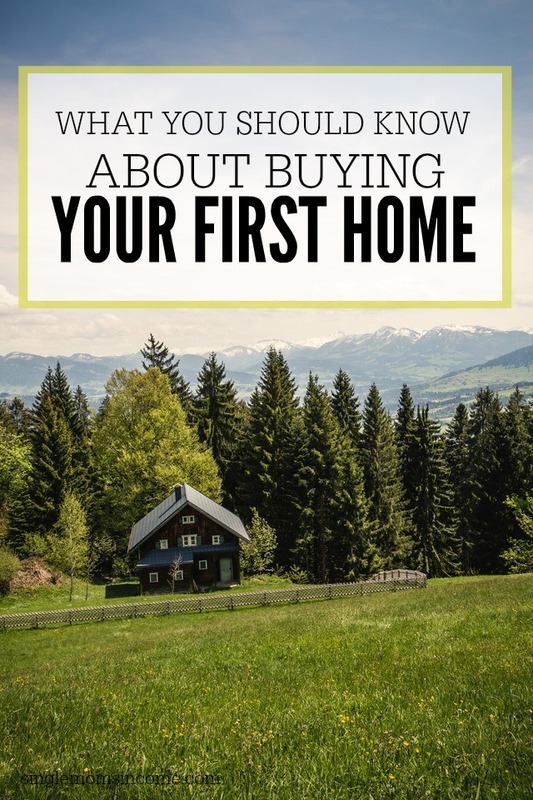 While buying a home can be a tedious and expensive process, if you’ve always dreamed of home ownership or even if it recently became a priority for you, all your hard work and effort will be worth it in the end. Cut down on living expenses. This can free up more of your income to save. Start side hustling. Earning extra income on the side can help you reach your savings goal much faster. Use extra lump sum payments to put toward your down payment fund. If you receive a bonus at work, or holiday gift money, throwing anything extra toward your savings account can really make a difference. Do you plan on becoming a home owner one day or do you already own a home? How have you dealt with the financial requirements of home ownership? Thank you so much for posting this! At 37, I’ve spent most of the past 17 years as a single Mom. I finally have a true partner. You see, my ex of 6 years (starting in 2008) was like a second child. I’ve always wondered how in the world people can buy a house. I’m nowhere close to making six figures, but if my ex had been more of a partner, I probably could have saved up for a house by now. There’s no point in dwelling on the past. I’d say we’re about two years away from being able to buy. The good news is, we’re in the house we want. This house came upon us by destiny. Our landlords, also our neighbors, may not be ready in two years, but we actually SAVED money, by renting this house. Things may change in two years, when my son graduates high school, which is the main reason we stayed in this area, but I LOVE my neighbors (including my landlord). Even it’s four years before they’re ready to sell, I’d like to think we’ll stay here.